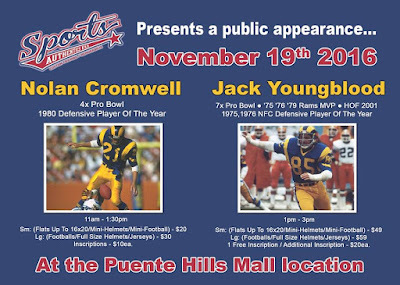 This coming Saturday, November 19th three Dodger players will be signing autographs (this is a pay event) for fans and collectors at the Holiday Inn Express & Suites in Ontario. Go here or here for more information. 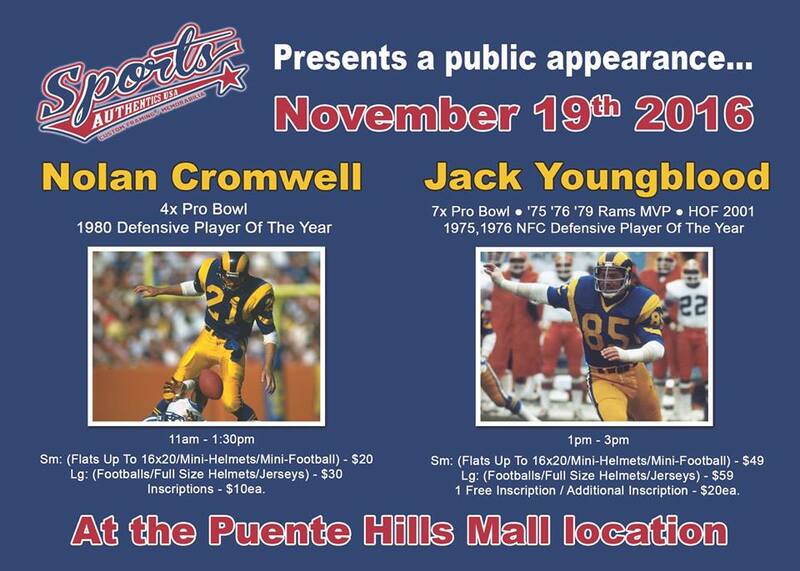 Former Ram greats Nolan Cromwell and Jack Youngblood will be at the Puente Hills Mall on Saturday to sign autographs for fans. This is a pay event. Go here for more information.